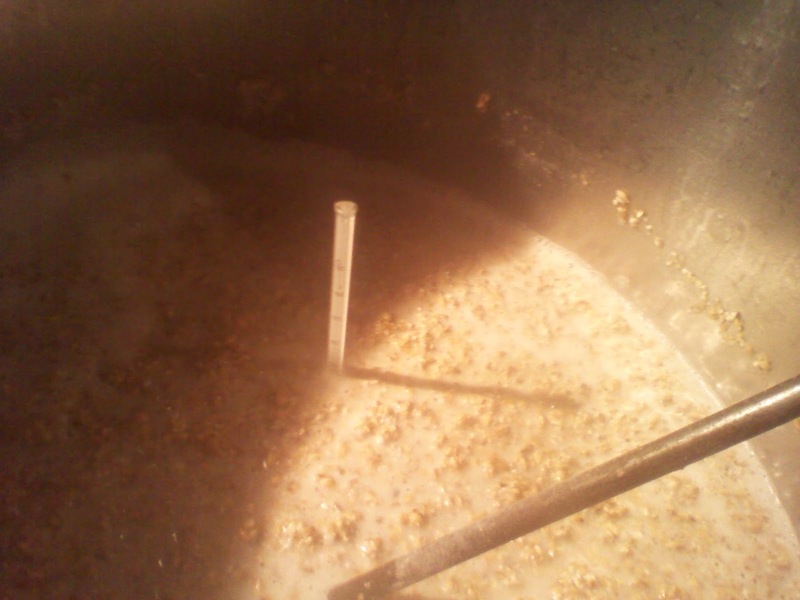 Mash temperature at 66°C (to ensure a nice mix of those alpha- (α) and beta- (β) amylase enzymes). The hops were equally simple, with Southern Cross used throughout; a 40g first gift, 15g on the mid and 80g on the finish. The focuses of the Hogworts brew this week were on the mashing and lautering processes, but we also got to talking about recipe formulation, the different types of malt available (and the effects they produce). We also talked about adjuncts. While waiting for the kettle to boil, we talked about malt and adjuncts. Malt is made by germinating barley seed, and then halting the process by drying the malt grain in a kiln. During the process of roasting, varying flavours are created, depending on how dark the grain is roasted (just like with coffee beans). The very lightest roasts are referred to as white malts. These are barely roasted at all, and include Bohemian Pilsner Malt, Maris Otter, Mϋnich and Vienna. There are also dark roasts, referred to as specialty malts, which impart various characteristics to the finished beer, and include Crystal (toffeeish), Black Patent Malt (creates a glowing red beverage), Chocolate Malt (used in Guinness), Brown Malt, and Roasted Barley. 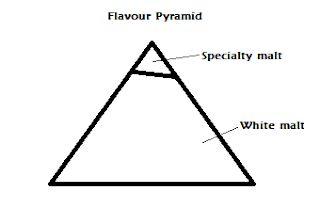 All of this brings us to the flavour pyramid of recipe formulation. White malt of some type should account for 90 – 95% of the malt you use, even for a dark beer. Going overboard with specialty malts can cause astringency in the finished beer. Another factor in the flavour of beer is whether anything besides actual malt is used in the mash. An adjunct is anything you add to beer that isn’t water, malt, or hops. One of the most common is cane sugar, which can account for up to 30% of the bulk filler in commercial beers. It leaves almost no taste behind since it is such a simple sugar. The yeast rip through it and turn it straight into alcohol. In Mexico, the cane sugar bulk filler equivalent is high fructose corn syrup. British beers tend to use corn as an adjunct too, but in the less processed form of corn flakes. Other possible adjuncts include torified wheat, air popped corn, oats, rye, rice (don’t bother), buckwheat, quinoa, honey, maple sugar, sugar beet, and kumara. 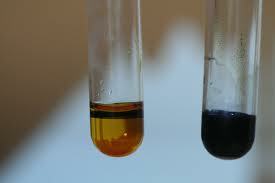 Practically anything can be used as an adjunct, so long as it is high in starch and isn’t oily. Any kind of oil will ruin the head retention of the finished product. This was what our mash looked like when it first went in. After 40 minutes we began recirculating to set the grain bed. At first, the runnings were cloudy, but as the husks of the barley malt settled into the bottom of the mash tun forming a filter, the running began to run very clear, looking almost like the finished beer. (all clear of white starchy haze, and glowing a buttery yellow) it was time to perform the starch test. 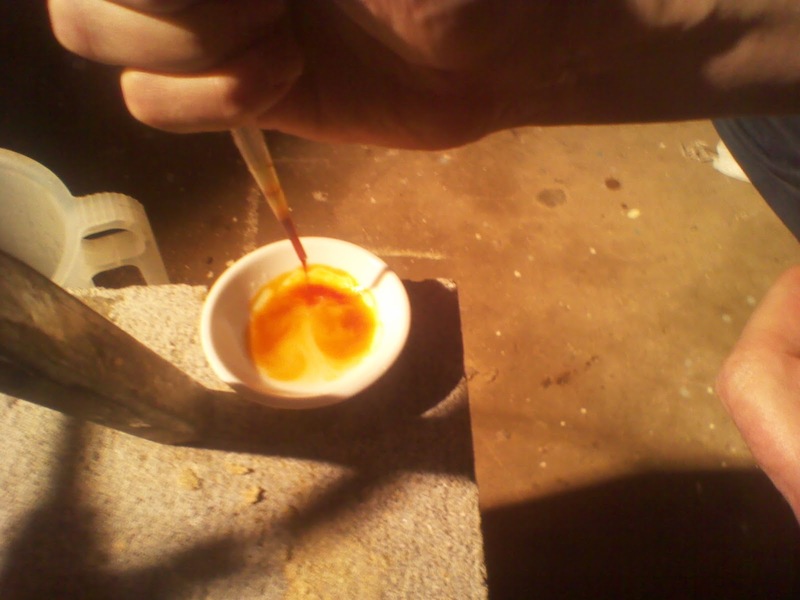 In the presence of starch, iodine will turn black, and since the object of a mash is to convert starch to sugar via enzymatic action, iodine is a very handy tool to have in one’s magic bag of home brewing tricks. Once the mash is done, it’s lautering time, a process in which the mash is separated into wort and spent grain. 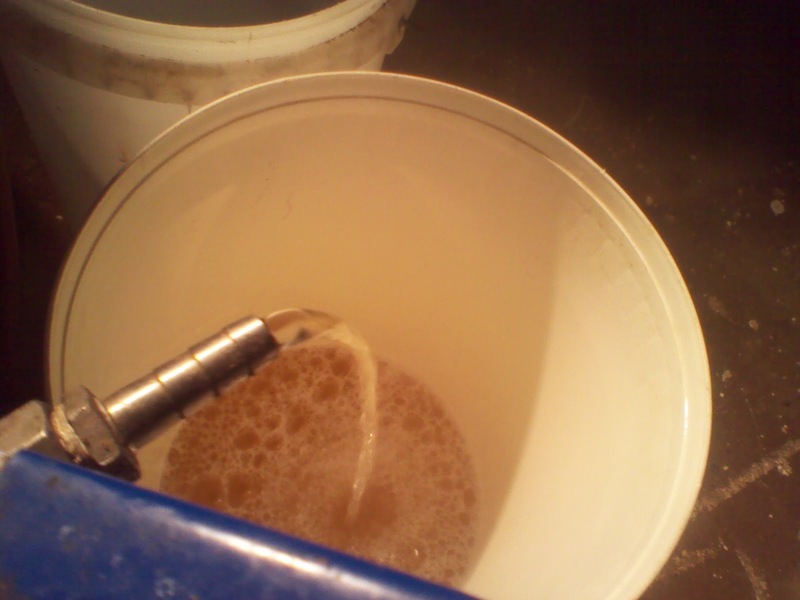 We used a two-step lautering process of recirculation and sparging. 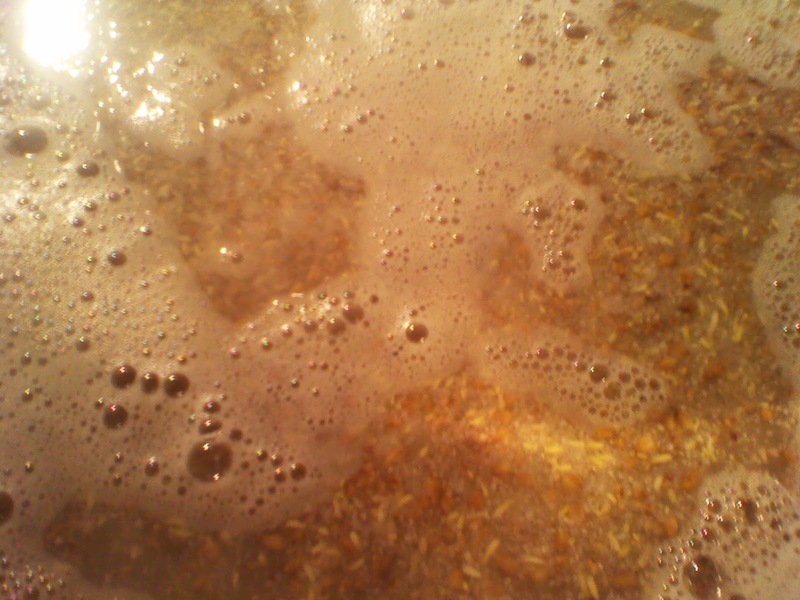 During sparging, it is very important not to disturb the grain bed by pouring the sparge water on too aggressively. Be gentle. The water needs a nice flat grain bed to filter through in order to drag the maximum amount of sugar as it goes through. I tried the results of our efforts on Wednesday night this morning, and the beer (now in the process of fermenting) is tasting mighty fine.